As long as I remember when I was growing up we had a stick of butter in the fridge and a small tub of margarine on the pantry. 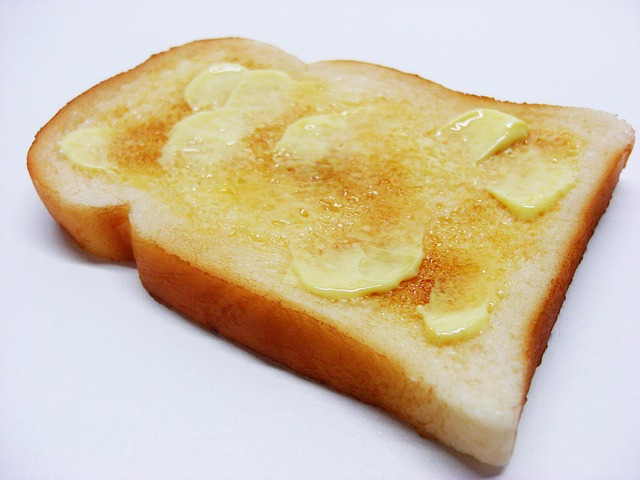 I remember my mom slathering bread with butter and using it when she was cooking or when she was baking. For the most part we used butter more than margarine. But in the battle of butter vs. margarine which of these two tasty flavorings comes out on top? You’ve probably heard of some medical professional saying that margarine is better than butter. And I do remember reading somewhere that margarine is better for anyone looking to lose weight. So what’s the real score? Let’s take a look. 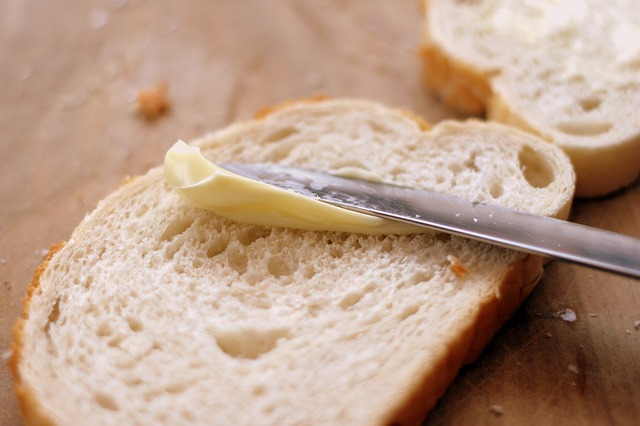 The debate over butter vs. margarine has been raging for years. Some people will have their preferences when it comes to the flavor of one or the other. Similarly, experts have spent years debating whether or not butter is healthier than margarine or whether it is the other way around. Butter is manufactured from churned cream. It is made from cow’s milk, although the fattier part of it. This makes it come from natural sources. The churning process turns the fat into butter. Margarine meanwhile, is manufactured from various types of vegetable oils. It was developed as a replacement or alternative to butter, which was considered an unhealthy food because of the fat content. Margarine is made from a number of artificial ingredients. And when compared to butter it has more of this. In fact, it is basically a solid version of vegetable oils. This is why it can be left outside the refrigerator and not melt, unlike butter. The two of them will usually be similar in terms of their density or consistency, but they will differ somewhat when it comes to flavor. And depending on your taste preferences you’ll probably prefer one over the other. When it comes to the difference between margarine and butter in terms of nutritional facts, it comes down to the type of fats. Butter has more saturated fat, while margarine has more trans fat. The other thing doctors prefer margarine over butter is that it also contains no cholesterol. If you look closer at the breakdown of the fat components, margarine contains more of the good fats which are the polyunsaturated and monounsaturated fats, at least when compared to butter. The process of manufacturing both butter and margarine is highly artificial today, but margarine often contains more artificial ingredients for reasons that relate to its chemistry. Butter is made from the high-fat parts of cow’s milk, and it is high in saturated fat. Saturated fat is naturally solid at room temperature due to its molecular structure. Vegetable oils exist in liquid form at room temperature for the same reason. Manufacturers need to add hydrogen in order to give margarine the texture of butter. To a certain extent, margarine is inherently more artificial than butter for this reason. So What is a Better Choice: Margarine or Butter? I’m don’t have a dietary background nor am I a nutritionist, so I’ll be consulting the experts on this one. According to the American Heart Association (AMA), choose margarine over butter. But, and this is important, choose the trans fat free type of margarine that’s in the form of a soft spread. These are the ones that are found in tubs. Skip the stick margarine since those have more trans fat. It’s that extra trans fat composition that allows it to be more solid than the the margarine spread. And the more trans fat, the worse the effect on cholesterol levels and health. The AMA also prefers the soft spread trans fat free margarine over the regular stick of butter. It should be noted that both butter and margarine tend to be devoid of vitamins and minerals unless they have been specially fortified. They add to a person’s overall dietary fat and they contribute to a person’s daily calories. 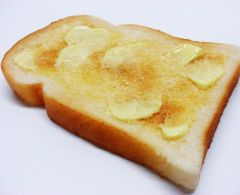 To a large extent, butter and margarine are both sources of empty calories. People consume both of them for the sake of flavor. There are individuals who don’t naturally eat enough dietary fat, particularly people on a vegan diet. However, butter and margarine are usually going to be neutral dietary staples at best. The question of whether butter is healthier than margarine is largely a function of the medical community’s opinion on saturated fat. 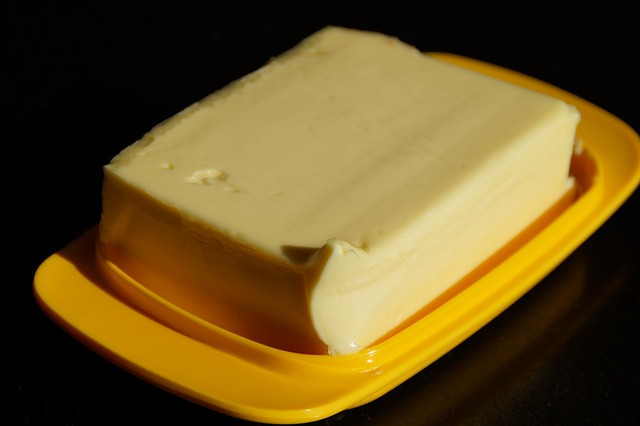 In almost all cases, butter is going to contain more saturated fat grams than margarine. Saturated fat has been widely believed to raise a person’s cholesterol levels, predisposing them to all sorts of heart problems and other disorders. However, the medical community is starting to challenge this perception in recent years. I’ve been seeing some research questioning how much saturated fat affects heart disease but at this point there isn’t a definitive argument to the negative. At least not yet. Trans fat is now regarded as more dangerous. Trans fat has been demonstrated to raise a person’s bad cholesterol, while lowering that person’s good cholesterol. Trans fat is largely the result of modern food processing, so the body has not evolved to cope with it. This is the reason why it’s important to choose margarine that doesn’t contain trans fat. Saturated fat is natural and has been a part of the human diet for a long time. The hydrogenation process behind some margarine tends to create trans fats, and margarine will often have five times more trans fat than butter, if it isn’t trans fat free. Ultimately, the portion sizes involved with butter and margarine are going to matter more than the question of whether or not to eat them. The medical community is still unsettled when it comes to the health consequences of saturated fat, although trans fat is more or less universally acknowledged as dangerous. People who consume small amounts of margarine or butter probably aren’t damaging their health much. Most people only need a tablespoon in order to get the flavor of either. Margarine and butter are not health foods one way or another, and they should both be used sparingly.